is a legume of the family Fabaceae, subfamily Faboideae. Its seeds are high in protein Despite being widely considered a vegetable, it is in fact one of the earliest cultivated fruits; 7,500-year-old remains have been found in the Middle East. garbanzo bean, ceci bean, chana, sanagalu, and Bengal gram. Desi, which has small, darker seeds and a rough coat, cultivated mostly in the Indian subcontinent, Ethiopia, Mexico, and Iran. Kabuli, which has lighter coloured, larger seeds and a smoother coat, mainly grown in Southern Europe, Northern Africa, Afghanistan, Pakistan and Chile, also introduced during the 18th century to the Indian subcontinent. The Desi (meaning 'country' or 'local' in Hindi) is also known as Bengal gram or kala chana. Kabuli (meaning 'from Kabul' in Hindi, since they were thought to have come from Afghanistan when first seen in India) or safed chana is the kind widely grown throughout the Mediterranean. Desi is likely the earliest form since it closely resembles seeds found both on archaeological sites and the wild plant ancestor (Cicer reticulatum) of domesticated chickpeas, which only grows in southeast Turkey, where it is believed to have originated. Desi chickpeas have a markedly higher fiber content than Kabulis and hence a very low glycemic index which may make them suitable for people with blood sugar problems. The desi type is used to make Chana Dal, which is a split chickpea with the skin removed. 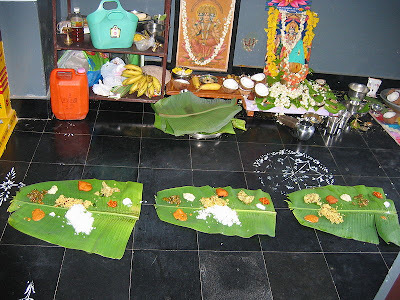 is a material substance that is first offered to a deity in Hinduism and then consumed. Anything, usually an edible food, that is first offered to a deity, saint, Perfect Master or an Avatar and then distributed in His or Her name to their followers or others as a good sign. The prasad is then considered to have the deity's blessing residing within it. In contemporary Hindu religious practice in India, the desire to get prasada and have darshan are the two major motivations of pilgrimage and temple visits. 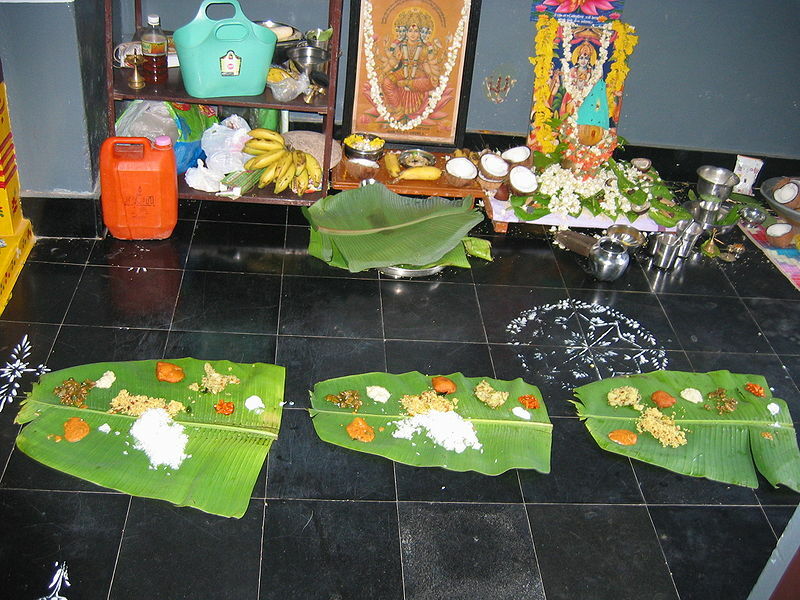 One way that Prasad is commonly prepared is to place the food in offering before an image or statue of the spiritual figure to be honored, sometimes on a plate or serving vessel reserved only for spiritual purposes, and only then, after some time is allowed to pass, does the food become holy Prasad for further distribution. kala chana prasad (holy offering) is served on Saturdays in temples.